Following the biggest expansion in company history with the opening of a second tasting room in Scottsdale and the purchase of a new space in Willcox, Carlson Creek Vineyard is now also expanding the size of their vineyard in Willcox with the recent purchase of a 120-acre plot of land, taking them from 160 to 280 total acres. This is not only going to allow us to increase production, and plant new varietals, but it will also allow us to continue helping other Arizona wineries flourish,” said co-owner and winemaker Robert Carlson III. “We had a lot of help from other wineries when we were first starting out and we like to return the favor.” The family-owned winery sold the most grapes in their nine-year history during their 2016 harvest, selling to 10 other Arizona wineries. The now 280-acre plot of land, situated at 4,200 feet above sea level (similar in terroir to that of Rhone, France) allows for the perfect balance of warm Arizona sun combined with crisp, cool evenings. The result is a wine portfolio that is smooth and understated, yet approachable. 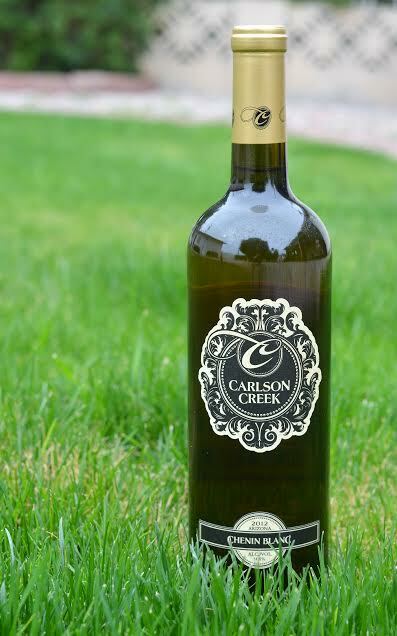 After recently selling out of their 2011 Chenin Blanc, Carlson Creek is now also releasing their 2012 Chenin Blanc with a wine release party at both tasting rooms on Friday, January 20, 2017. From 5-8 p.m. at the Scottsdale tasting room (4142 N. Marshall Way, Scottsdale, AZ 85251), guests will receive a complimentary first glass of the Chenin Blanc paired with light bites from Eddie’s House and live music. While guests of the Willcox tasting room (115 Railview Avenue, Willcox, AZ 85643) will receive a complimentary first glass of the Chenin Blanc paired with charcuterie boards from 11 a.m. – 5 p.m.
One of the oldest French wines, originally produced in the 9th century, Carlson Creek’s 2012 Chenin Blanc has a flavorful combination of balanced ripe fruit, including apricot, grapefruit, and peach, with a smooth honey finish. Aged in neutral oak for six months, this locally made white wine is best enjoyed with fish and pasta with a cream based sauce. Compared to our 2011 Chenin Blanc, the 2012 vintage is a fuller representation of what Chenin Blanc can do. My favorite to date,” said head winemaker John Carlson. For more information or to purchase the 2012 Chenin Blanc once it becomes available on January 20, visit either tasting room, purchase online at CarlsonCreek.com or connect with them on Facebook, Twitter and Instagram. Established in 2009, Carlson Creek Vineyard is a family-owned vineyard and winery located in southeastern Arizona, with tastings rooms in Willcox and Scottsdale, Arizona. Their 280-acre Willcox vineyard produces varietals of Chardonnay, Sauvignon Blanc, Riesling, Syrah, Sangiovese, Cabernet Sauvignon, Grenache, Mourvedre and Rosé, with Chenin Blanc and Merlot varietals being locally sourced. Shipping is currently available to Arizona, California, Colorado, Florida, Nevada and New Mexico. For more information, hours of operation and upcoming events, visit www.CarlsonCreek.com.